Panasonic's Intellectual Property (IP) Group has achieved independent industry-backed accreditation for its approach to innovation. The division, based at Panasonic's research and development centre in Singapore, is the first in the country to receive the Investor in Innovations standard from the Institute of Innovation & Knowledge Exchange (IKE). 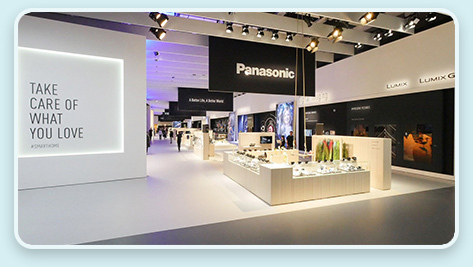 Panasonic, a household name in electronics, has almost 250,000 employees worldwide and operates across many industrial and consumer sectors. 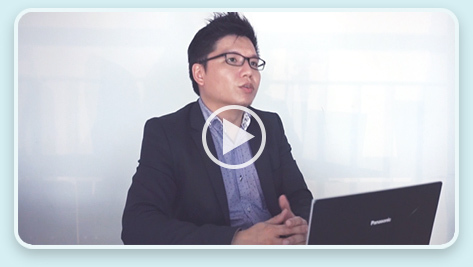 The Singapore-based IP Group's accreditation is the first step in a company-wide strategy to benchmark innovation across all business groups. Every day companies generate new ideas that could have the potential to enhance their products, processes or business models. Such creative and innovative endeavors are referred to as Intellectual Property or IP and they include trademarks, copyright, patents, industrial design rights and trade secrets. However, many of these ideas fail to see the light of day. This is often due to a lack of a structured process that evaluates and supports the development of good ideas to become valuable innovations that drive business growth, efficiency and differentiation. "Often companies forget about how much IP they generate, and sometimes they spend significant funds protecting the rights of such IP, but they don't know how to identify the worthiness of their IP in relation to the investment to defend it and optimise its commercial value. There are often opportunities to collaborate with partners to create joint licences for example that could render bigger benefits than just pursuing a single IP. 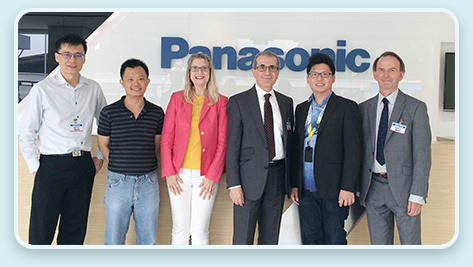 "The Investor in Innovations tested, in a balanced way, the innovation capability of Panasonic's IP Group in Singapore. "IKE's Innovation Council, which draws together some forty c-suite executives from science, engineering and technology companies, was particularly impressed with the group's proactive approach to IP management and monetisation. "The Council is therefore pleased to award the Investor in Innovations standard to Panasonic IP group in Singapore, in recognition of its capability to stimulate and deliver innovation practice across the overall innovation value chain and to accelerate business growth." Investor in Innovations® is an integrated, leading-edge Standard awarded by the Institute of Innovation & Knowledge Exchange (IKE). It offers a practical way for an organisation to assess, validate and benchmark its innovation capability. It uses a well-defined and balanced six-category framework that brings together: strategy and alignment; organisational readiness; core capabilities, technologies and IP; industry foresight; customer awareness and impact and value. In addition, Investor in Innovations® is a business diagnostic, used to understand where an organisation is and where it needs to be from an innovation standpoint. A coherent 'action plan' to close the innovation gap is a key outcome from this programme.